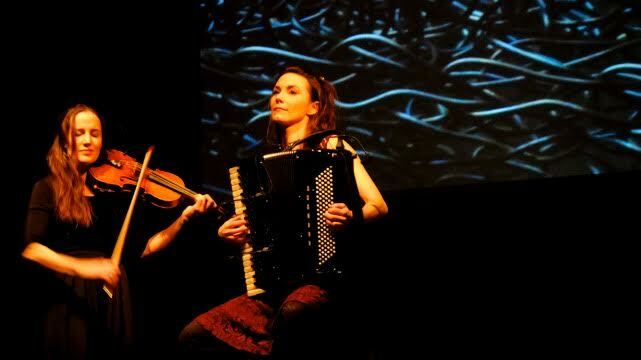 LISAS’ (Lisa Rydberg and Lisa Långbacka) album Fiddle & Accordion Conversations was released at Umeå Folkmusikfestival in February 24 and at Musikaliska in Stockholm at March 7. The concert in Umeå will be broadcasted in Swedish national Radio during 2017. PO Tidholm gave the album 5/5 in national Dagens Nyheter, calling the album “epic”. Pär Dahlerus at Uppsala Nyheter describes the album as “timeless and touching”. The album has been noticed and songs from the album have been played and discussed in radio programs like Klingan (P2) Epstein & Nordegren (P1) and Kulturnheterna (P1). More reviews will come.